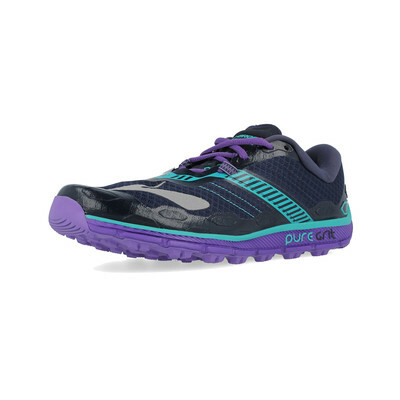 The PureGrit 5 has all the features a runner needs to stay cool, comfortable and confident as they run. Focus on giving your best yet performance without distraction and discomfort. "ThÃ¨se were my first trail shoes and I chose Brooks as same make as my normal running shoes. 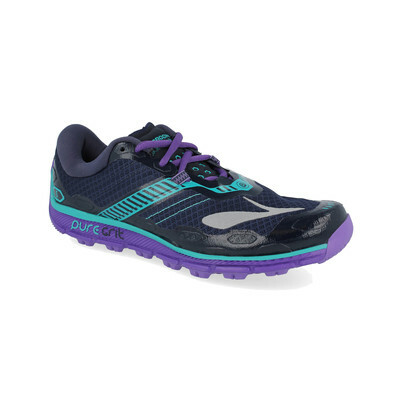 Are tighter across the width of foot but were very comfy across muddy fields and tracks." "Great delivery and good quality product. Iâ? ?ll be back." 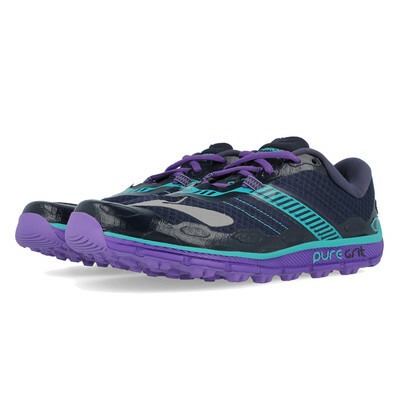 The upper of the PureGrit 5 is made from Air Mesh material. 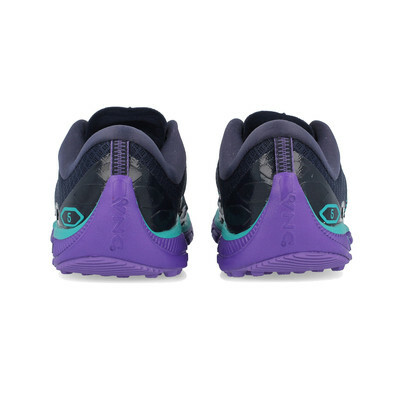 This was specifically chosen as it allows cool air to flow into the shoe at the same time as releasing warmer air. 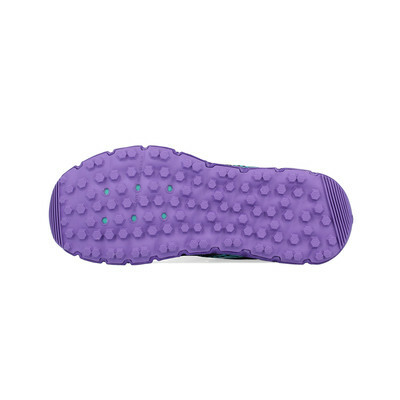 This creates a cool environment inside of the shoe which will improve the overall comfort of the foot. Reinforced panels have been placed across high-abrasion areas of the upper. This will increase the durability of the shoe and will offer a more secure and supportive fit. An adjustable strap has been placed across the midfoot area of the upper. This is connected to the lacing system and will greatly improve the stability and support which is offered across the foot. A Dust-Shield overlay wraps the upper. This is made with a net-like construction which works to prevent smaller debris and dust from entering the shoe and becoming lodged inside as this could cause a great deal of discomfort. Additional eyelets have been added to the upper area of the lacing system. This allows the laced to be fastened higher across the foot which will offer a more stable and supportive fit. Plush padding has been placed inside of the tongue and heel cuff of the PureGrit 5. This will allow these key areas to sit closely against the skin without causing chafe and discomfort. A profiled sock liner has been placed along the footbed of the shoe. 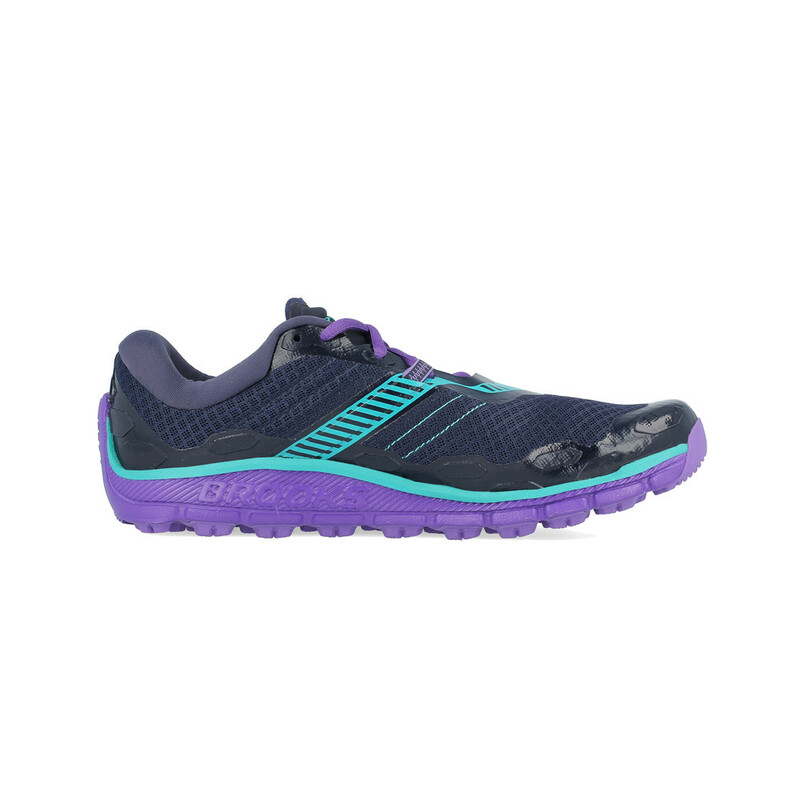 This will offer additional contoured support and increase comfort under the foot. The BioMoGo Biodegradable midsole on the PureGrit 5 is a durable foam material which allows the shoe to offer plush underfoot cushioning and long-lasting comfort. The foam can also allow the footbed to mould around the foot for extra stability and a personal fit. This specific foam also helps the shoe to absorb shock which can help the shoe to move through the natural gait cycle as comfortably and smoothly as possible. Omega Flex Grooves have been cut into the midsole to improve its flexibility without having to sacrifice cushioning. This will allow the shoe to move naturally with the foot for a comfortable and cushioned wear. A layer of Thermoplastic EVA has been placed along the bottom of the midsole which is commonly known as a Ballistic Rock Shield. This helps to protect the foot from any jagged surface or pointy debris.